Lying Figures is a Death/Doom Metal group based out of Nancy, Lorraine, France back in 2008. For the most part, the line-up is kind of an underground supergroup as it stands today. 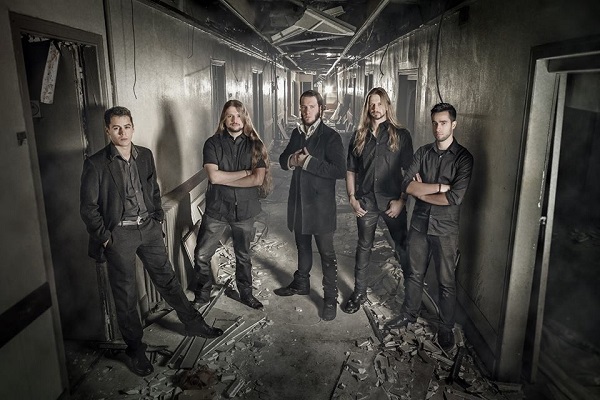 Within its ranks are vocalist Thibault (DevilInside, Dungortheb), drummer Charles Pierron (Ataraxis), and guitarists Mehdi Rouyer and Matthieu Burgaud. Until 2014, Ludovic Marinet handled bass duties, and has since been replaced by Frédéric Simon (former Marthyr, former Drowning) to round out the line-up later that year. But despite having been around for a good amount of years at this point, they have only issued two EPs. The first, From Nowhere to Nothing was released in 2013, followed a year later by A World of My Own, which is what we’ll be talking about today. Does it stand as a solid step up compared to their previous effort, or does it wind up being a far less impressive genre coupling than one would hope for? Much like Akercocke, Lying Figures present themselves as more of a high-brow Death/Doom Metal collective than your average group to dabble in the style, right down to wearing suits like the members of the aforementioned act would do when active. This can also be felt in the music of A World of My Own itself, leading to a surprising amount of variety in the quality of the six songs that make up this fairly laid back and fluidly paced EP. While sometimes detrimental, it does lend a believably personal atmosphere that suits those cultured preconceptions very well. But, sadly, it only leaves “Insanity Prelude” to establish a chilling atmosphere that the other five simply don’t live up to. This is thanks ly to that empty, intimate environment of the production quality, allowing a nice echo to the crisp drums just above the brooding, slower paced chords. From “Insanity Prelude” we move seamlessly into “Taste of Ignorance”, one of the more upbeat cuts of the EP. The hook-driven main verses and bridges are pretty infectious for how basic they end up being, coupled with a matching lower-toned clean singing approach and gutturals when necessary to a heavier Doom Metal presence elsewhere. For the most part, this is comparable to mid-career Sentenced, though without a lot of the enthusiasm, the literal polar opposite of “Of All the Western Stars”. As if gazing up at those very celestial bodies, the mixture of clean guitar chords that have a hint of Post-Rock with slight buzzing when the pace starts picking up keeps things moving along smoothly in a way that keeps things from getting dull. But then you have the slightly more aggressive material like “Nightmare (It Will Come)”. The music itself is harsher overall, presenting a stronger Death Metal presence with a focus on melancholic leads heading into the brooding chorus with layered clean vocals that are a bit off-key with one another. “Angels of Mercy” is another cold track, though the rules are reversed as far asplacement of the creeping segments against a more aggressive, guttural filled chunk. It’s a suiting, isolating conclusion to this EP, and just one of the more unique performances as well. “Until it Ends” isn’t quite as powerful as either of these, but this is thanks to how thin it ends up sounding. That aforementioned fluid pacing presents more of a zen-like presence here than any other cut on the release, leaving an impact that isn’t quite as strong as others on here thanks to it, but the subtle Amorphis-like tone in the music brings in enough of a Folk or artistic vibe to suit what the band is going for. While A World of My Own is a good EP overall, it does have a few issues. Like already mentioned, the performances themselves are fairly relaxed. This is the kind of sophisticated Metal you want to throw on when you need to unwind, or just want some kind of accompaniment to pass out with. This isn’t really a bad thing, though it does leave some of the melodic passages later more barren than they really should be. If it were a little richer, or even the guitars maybe just a bit louder, it really would help strengthen these lighter gothic passages against the heavier ones, mask some of the off-key singing that occurs throughout the release, aid in making them hit that deeper note by covering up some of the pitch that prevents it from accomplishing this goal, not to mention small things like the hint of guitar feedback on “Taste of Ignorance” that hits as you approach the three minute mark. Those issues aside, A World of My Own is still a good thirty minute romp of high brow Death/Doom Metal. There’s plenty of weeping melodies to be found throughout the release, as well as a handful of intimate tracks to get wrapped up in. Is it going to be for everyone? No, it definitely won’t be. Lying Figures incorporates the gloomy gothic atmospheres of early Lacrimas Profundere with infectious Amorphis, Sentenced, and even Moonspell-like overtones that are as soothing as they can be dismal and depressing. If you get the chance to check out A World of My Own, or Lying Figures in general, than one should definitely do so, especially if this genre of Metal is your cup of tea. 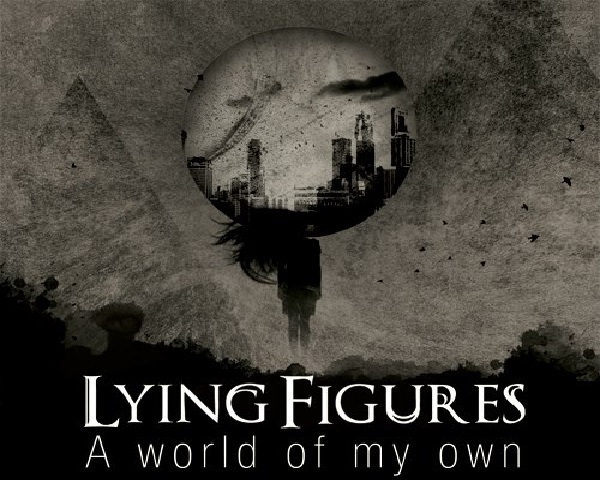 Digital review copy of this release provided by Lying Figures.